In our recent elections, it would be very hard to come up with a more significant reason for the republican losses than the fact that the republicans told the truth about themselves. Why can’t we also learn the truth from what the “Palestinian people” say about the “Palestinian people” ? You might remember the late Israeli Prime Minister Golda Meir making virtually the same statement: “There is no such thing as a Palestinian people.” The statement has been a source of ridicule and derision by Arab propagandists ever since. They love to talk about Golda Meir’s “racism.” They love to suggest she was in historical denial. They love to say her statement is patently false – an intentional lie, a strategic deception – but is source from a PLO leader! Are you afraid to believe Farah & Muhsein & Arafat ? The last one, a long debate between two people on each side is very educational. ▬►Why didn’t the PLO accept any of the MANY two state solutions proposed by Israel & America and backed by many Arab leaders in the last few decades? ( as it was occupied by Egypt 1948-1967 ). 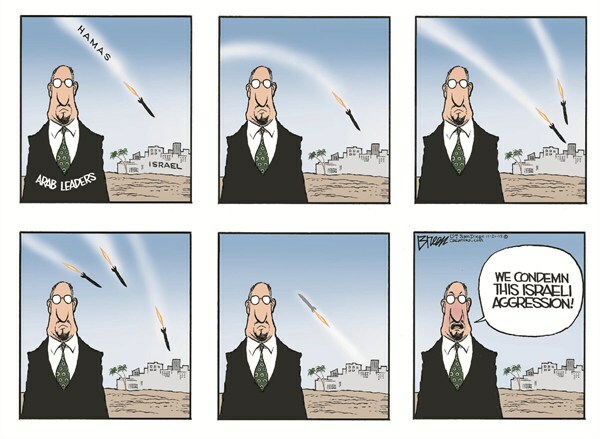 they would not launch their rockets from civilian neighborhoods.